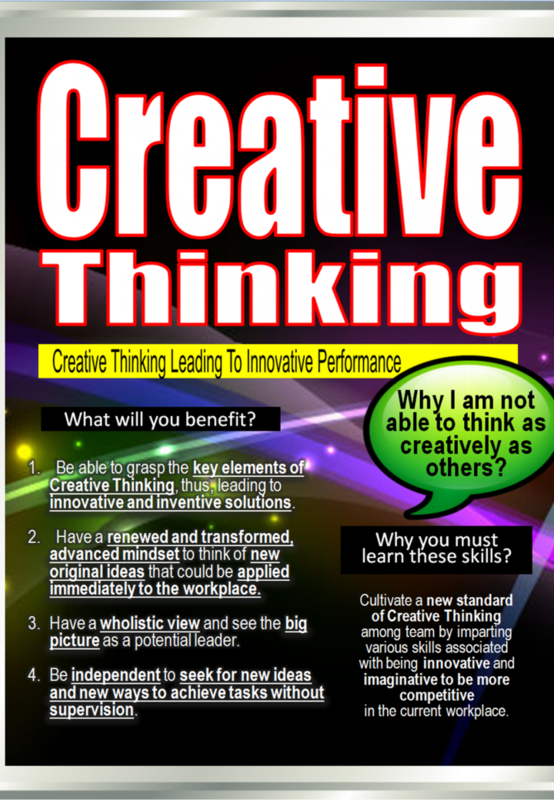 Be able to grasp the key elements of Creative Thinking, thus, leading to innovative and inventive solutions. Have a renewed and transformed, advanced mindset to think of new original ideas that could be applied immediately to the workplace. Have a wholistic view and see the big picture as potential leader. Be independent to seek for new ideas and new ways to achieve tasks without supervision. Why you must learn these skills? Cultivate a new standard of Creative Thinking among team by imparting various skills associated with being innovative and imaginative to be more competitive in the current workplace.